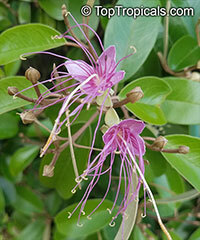 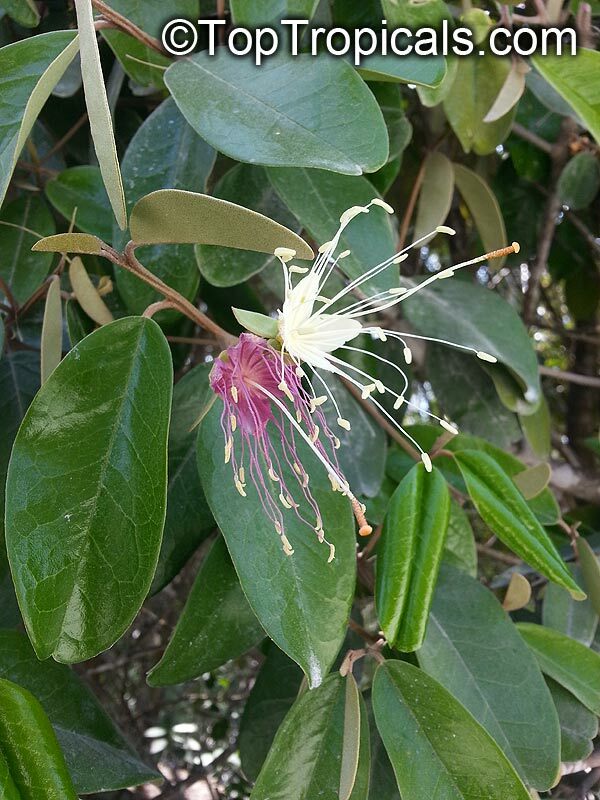 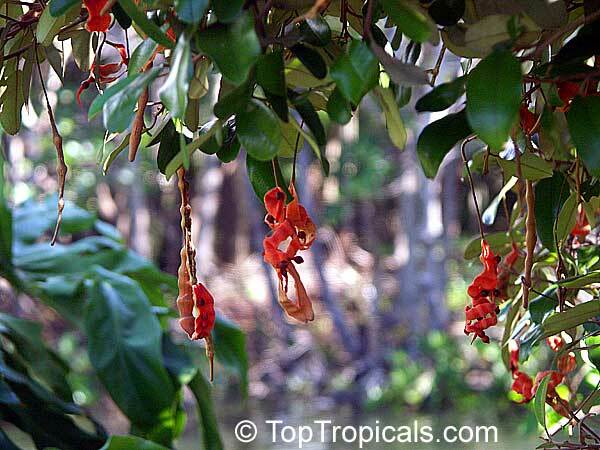 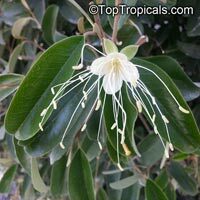 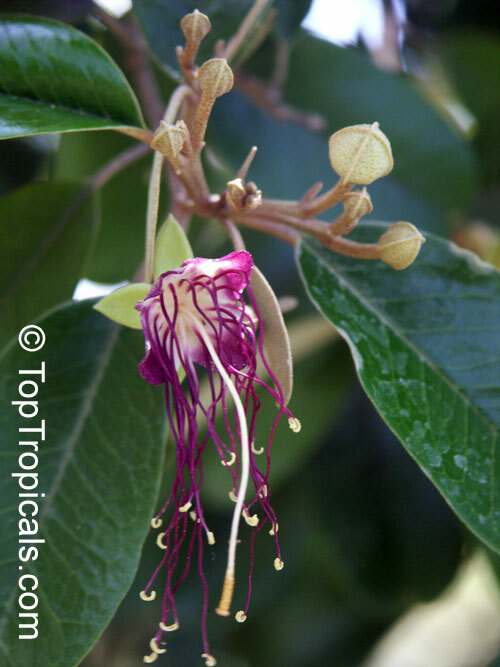 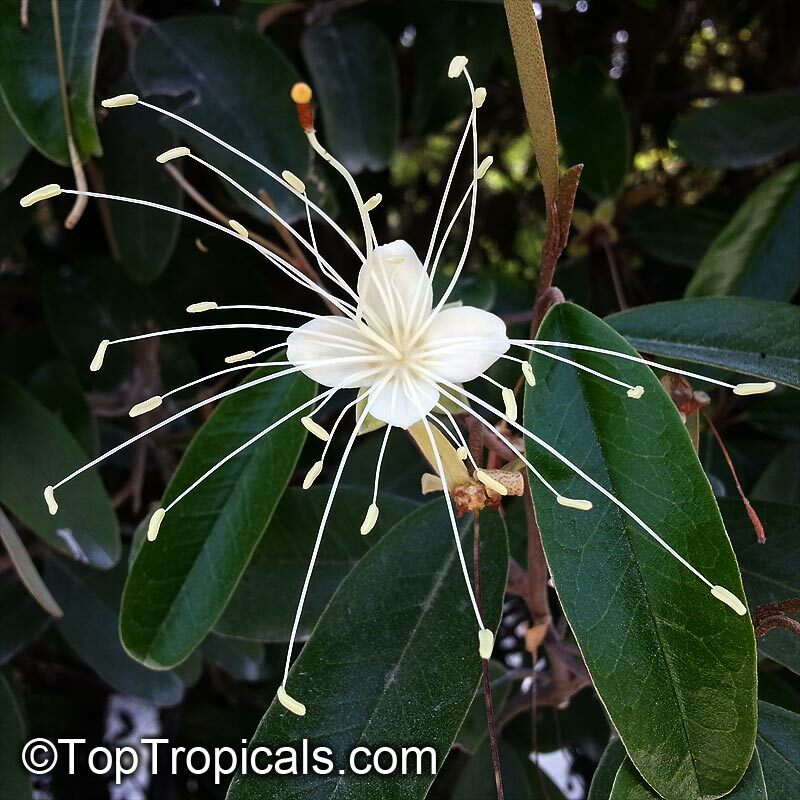 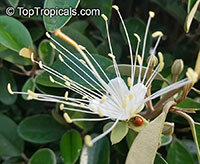 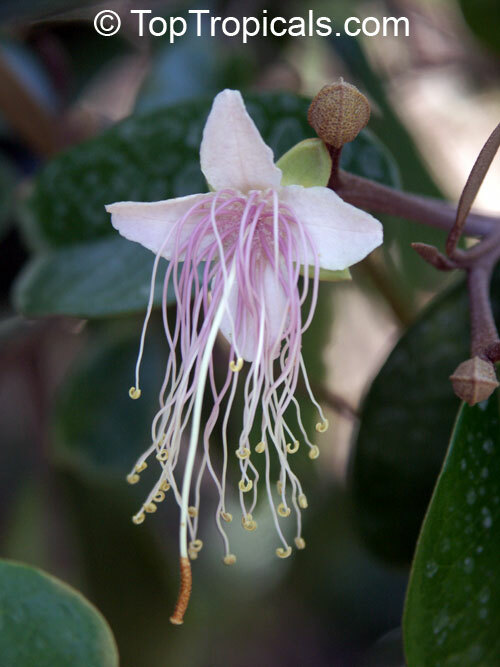 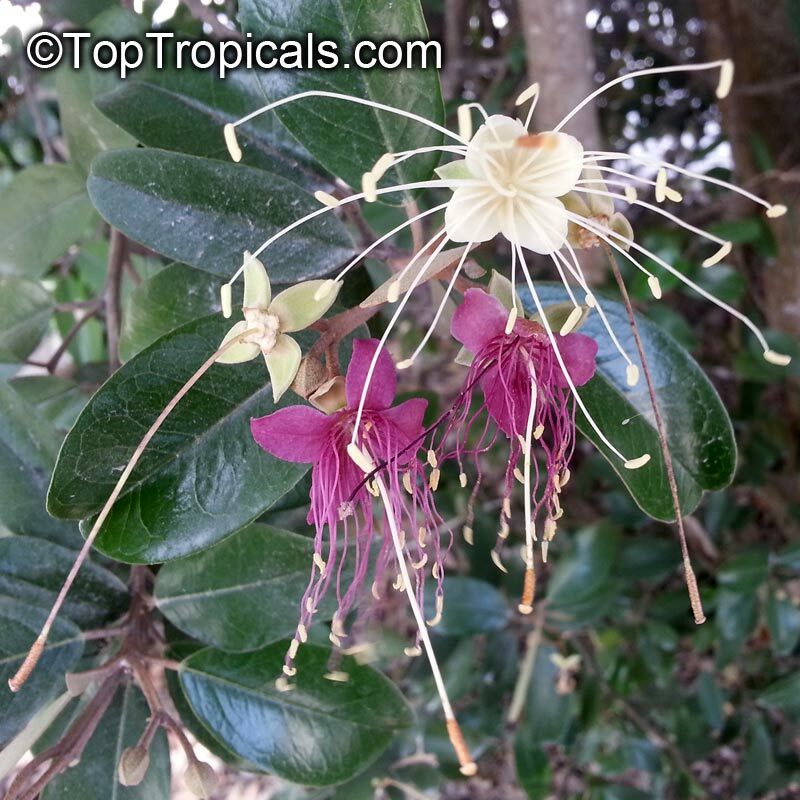 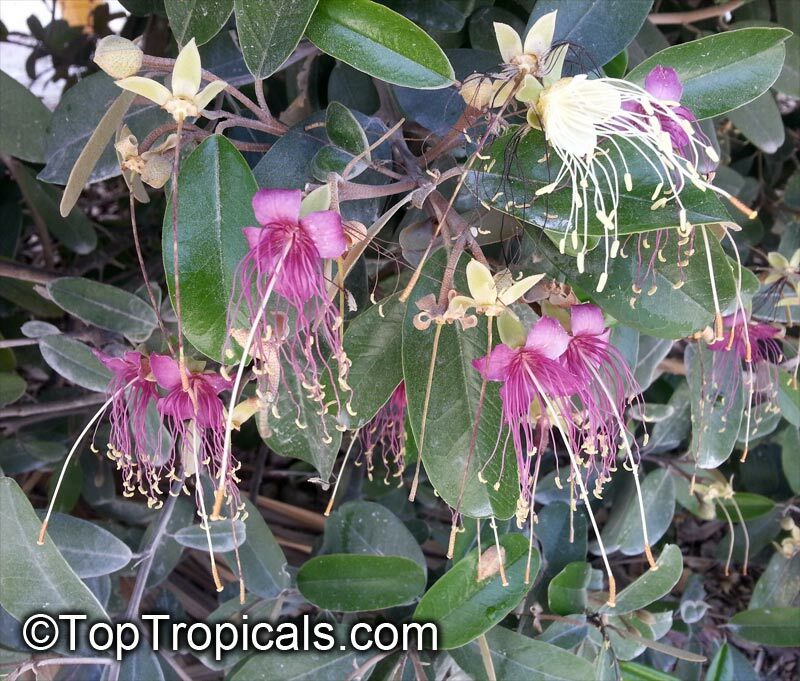 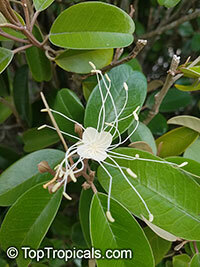 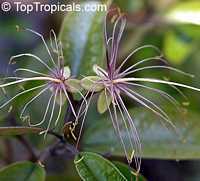 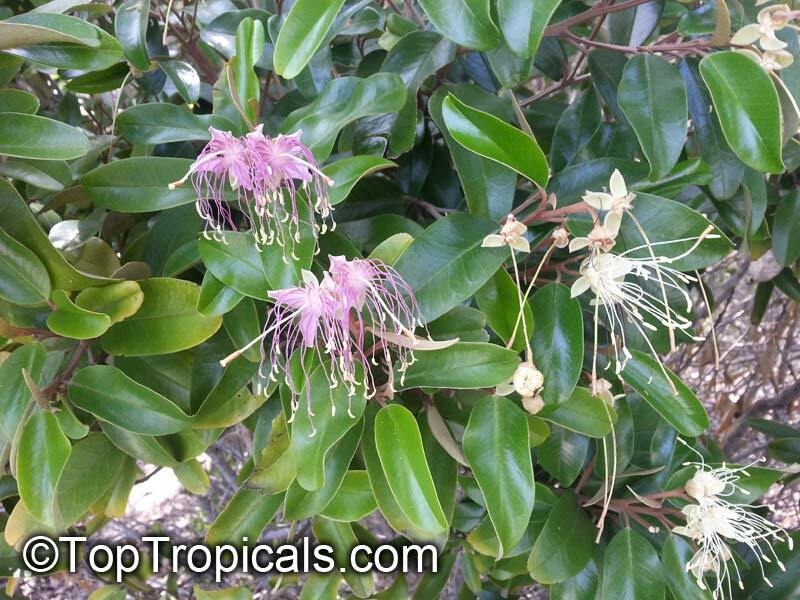 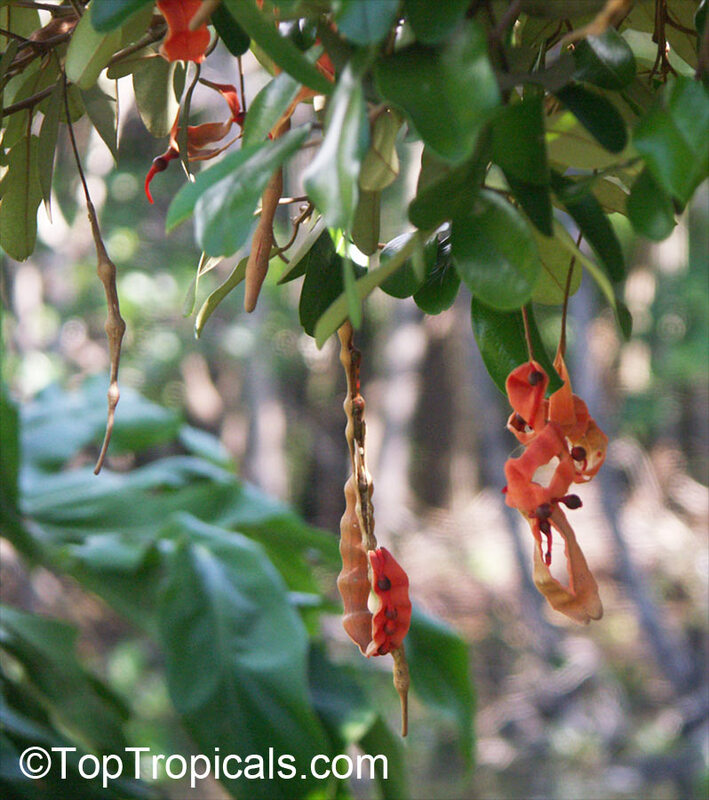 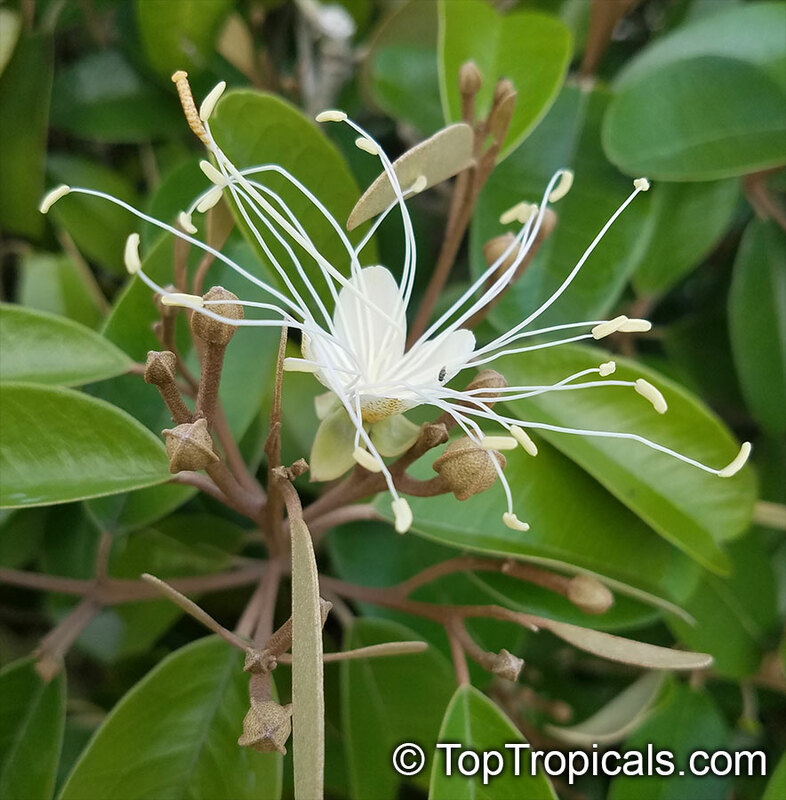 Jamaica caper produces large quantities of flowers. The flowers have four white petals and many purple stamens, which extend beyond the petals. 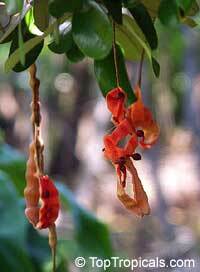 Fruit are slender, rust-colored pods which split open to expose seeds enclosed in an orange-red aril. 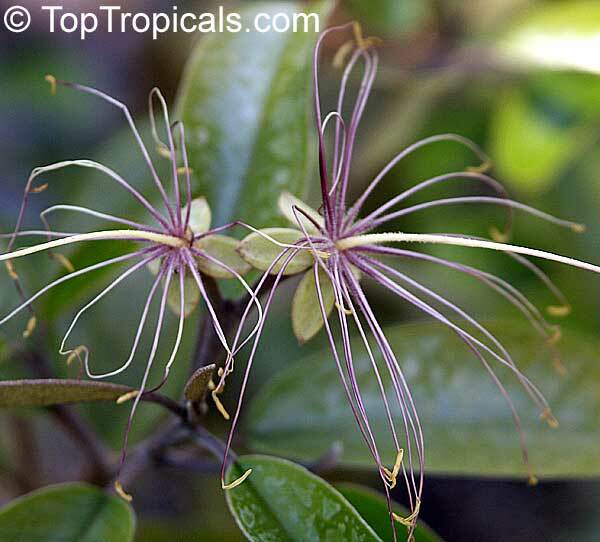 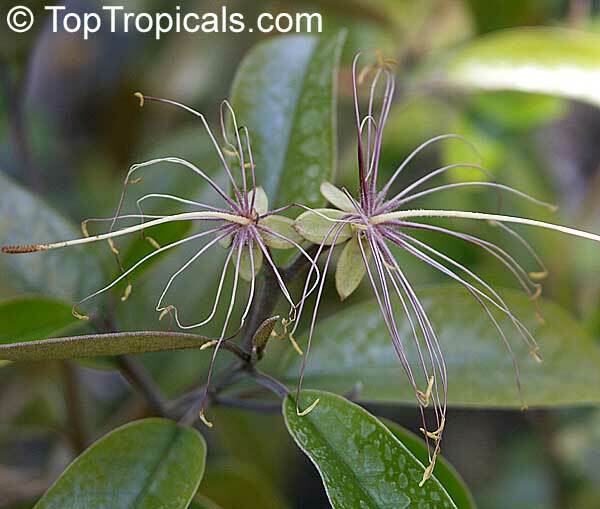 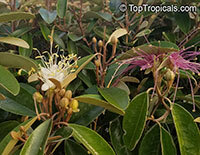 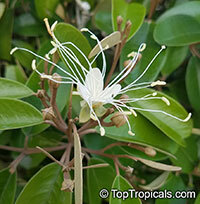 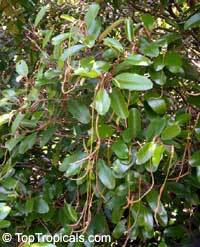 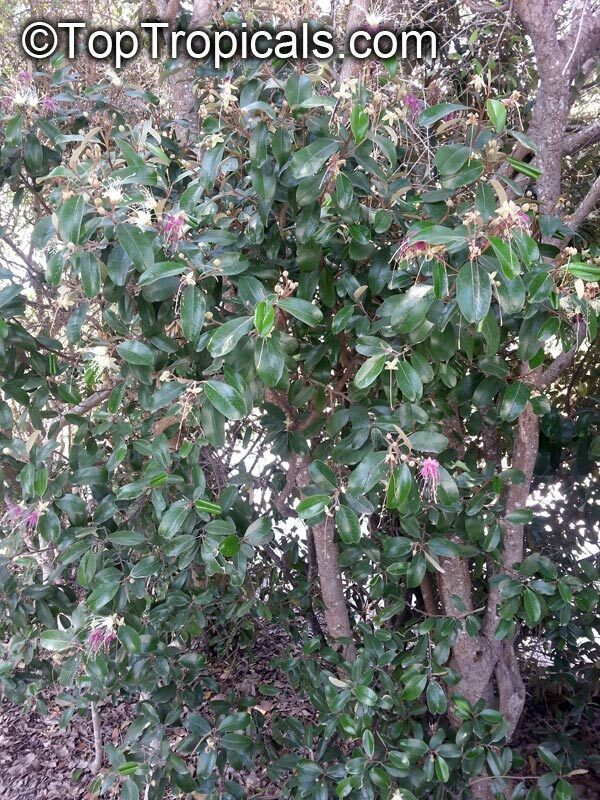 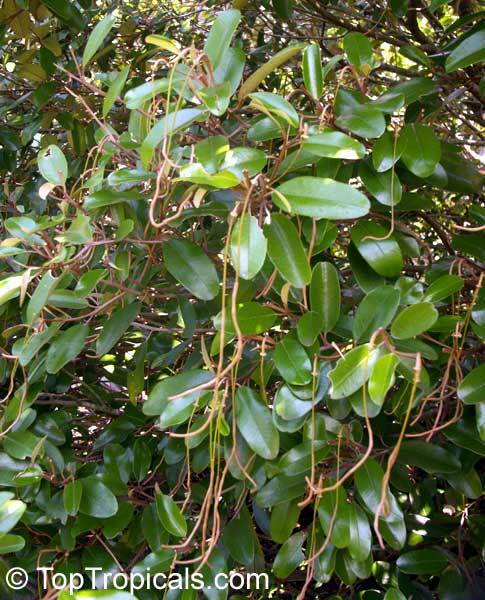 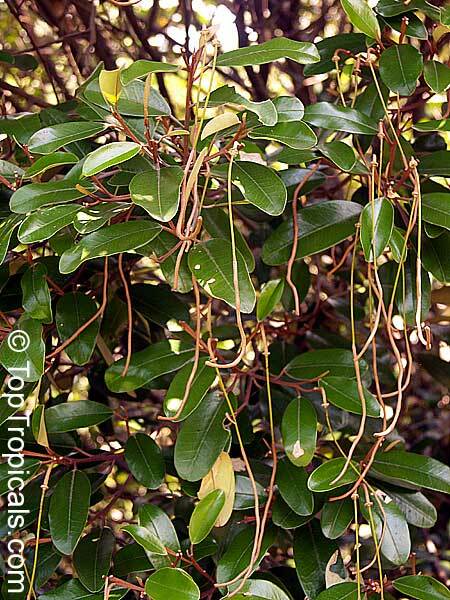 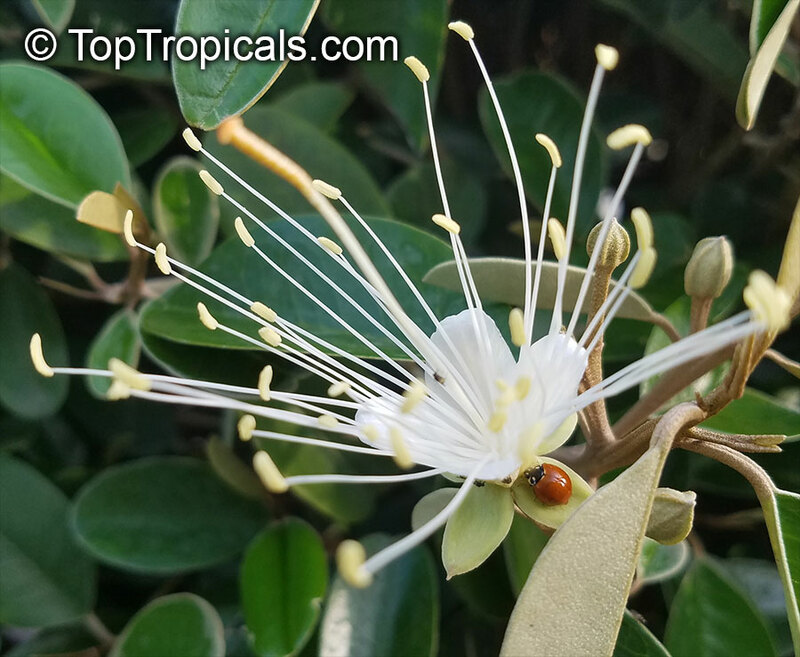 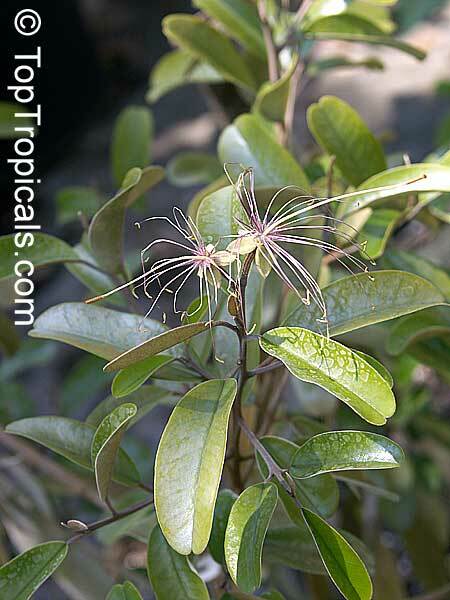 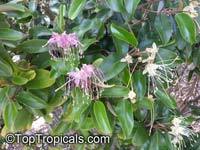 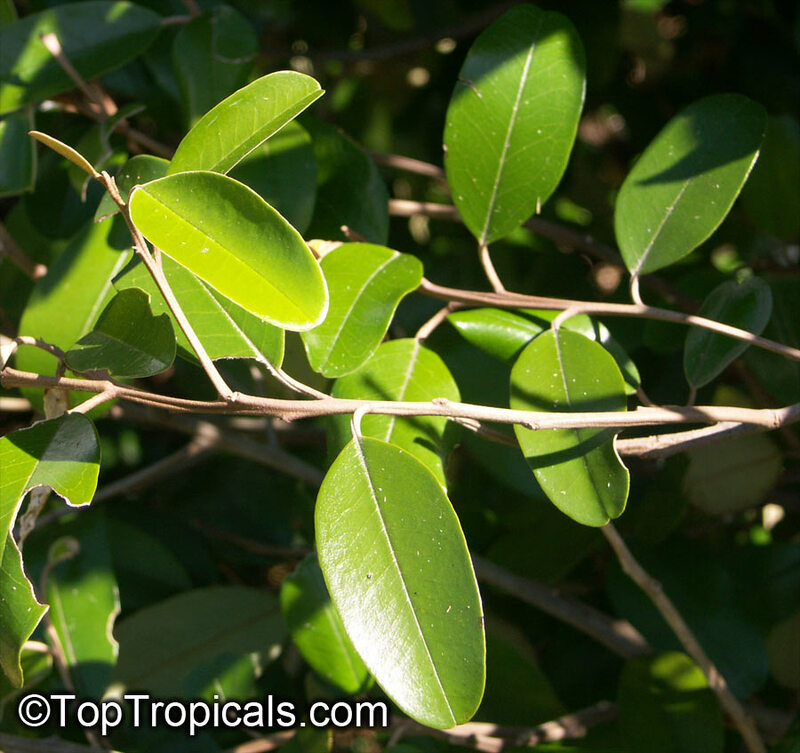 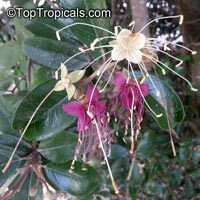 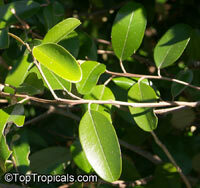 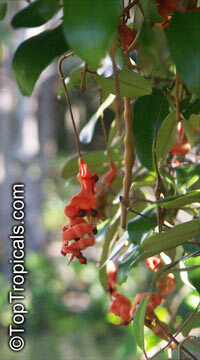 The dense, strong Jamaica caper is very wind resistant and extremely salt tolerant. 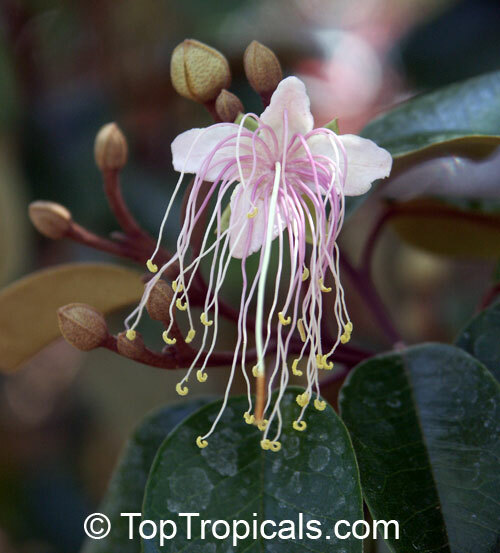 Jamaica caper can be grown in full sun to light shade. 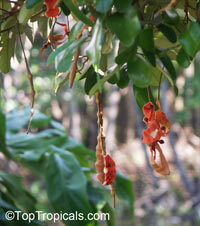 Jamaica Caper Tree, Mustard Tree. 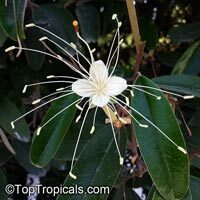 Jamaica caper produces large quantities of flowers with white petals and many purple stamens, which extend beyond the petals. Fruit are slender, rust-colored pods which split open to expose orange-red seeds. 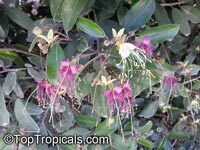 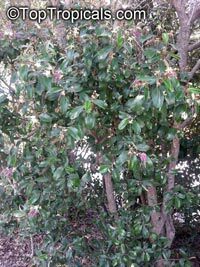 The dense, strong Jamaica caper is very wind resistant and extremely salt tolerant.This item is certified for shipping to California.